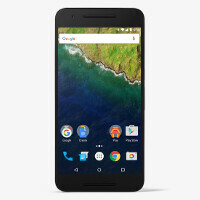 Best Buy is now offering the Nexus 6P. The phone can be purchased online, or inside one of the Big Box retailer's physical locations. The only model of the stock Android phone that is available, is the 64GB unit in aluminum for $499. There are rumors that the gold model, available only in Japan and India at present, will be coming to Best Buy as well. If the Nexus 5X is more your cup of tea, Best Buy has had that model available for some time now. LG's third Nexus handset is offered with 16GB of native storage, in Ice, Quartz and Carbon for $319.99. $60 more will buy the 32GB model in the same color options. And yes, Best Buy is also stocked with cases that will fit both Nexus units. The Nexus 6P is manufactured by Huawei, making it the company's first Nexus device. It also was our runner-up in the "Best Large Smartphone Category" for 2015, trailing the Samsung Galaxy Note 5. If you were lucky enough to score some Best Buy gift cards for the holidays, you can now use them to pick up the Nexus 6P. That is, assuming that you want the 64GB version in aluminum. Neat! Wish Google would put the Pixel C and Chromebook Pixel in stores too, if only to try them out. 60 bucks more for the 32GB Nexus 5X? Bad deal. It's not going to happen for a while, Google seem to have no interest in pushing this at all. It deserves far more attention than it's getting, reviewers seem to be getting hung up on the convertible idea and assume it's trying to be a laptop replacement like the surface and iPad Pro, it's not. off topic question, how many years have to pass before Google stops updating a Nexus phone? because Nexus 5 and 4 got 3 years (I don't know if they'll keep updating N5), prior to those 2 only got two year updates..
Two years is guaranteed. After that, Google uses their own discretion. My wife's unlocked Nexus 6 still hasn't received it's Marshmallow update. I don't know what the hell Google is doing.